Local retail store owner Jeannine Kempees wasn’t necessarily looking for a new business opportunity. 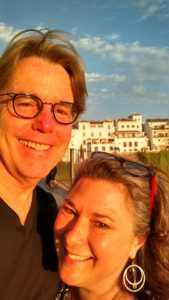 But during a rainy summer day on a recent trip to Spain, Kempees and her partner, Richard Hiner, suddenly found inspiration and decided to turn their mutual passion for travel, food, art and architecture into a new adventure. Kempees will be opening her third retail store, Atlas Travel Wear, on May 26, this time in the heart of Ballard on Ballard Avenue in Seattle. Kempees has been a business owner since 2003 when she purchased her first retail store, About Time Clothing and Shoes, in Port Townsend. 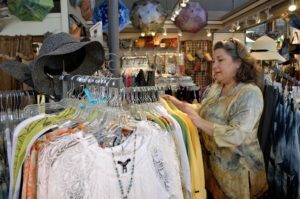 She moved to Olympia in 2010 and opened her second women’s clothing boutique, Belleza Ropa, which has become a staple at 4th and Capitol in the historical downtown area. Kempees and Hiner, an architect, first met while working on a project in Port Townsend over a decade ago, but reconnected a few years ago. Now they are starting a new life together as partners. 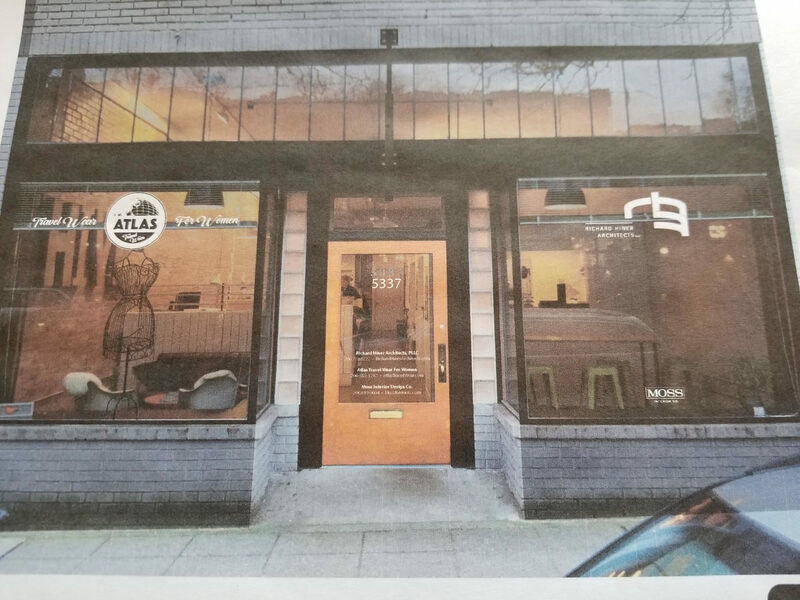 The new space is currently being remodeled, but Hiner’s architecture firm, Richard Hiner Architects (RHA), has operated out of the Ballard Avenue location for the last 17 years. Now that they are sharing the space, the couple plans to hang local art and travel photography within the boutique and architecture studio. Aside from providing quality travel apparel, Atlas Travel Wear will sell accessories and travel bags and will showcase local jewelry. Many of the same brands, such as Habitat Clothing and Travelon bags will still be available, as well as the addition of a few specialty travel brands, such as Sympli. Atlas Travel Wear aims to make shopping as stress free as possible for women by providing a personalized shopping experience with knowledgeable staff. Whether it’s finding the perfect laptop bag, a wrinkle-free dress or the best travel-friendly pants for the plane. While the name “Atlas” naturally conjures images of worldly exploration, the name of the store was actually inspired by Kempees and Hiner’s beloved dog, Atlas. The store’s logo is the dog lying upside down with his feet in the air, one of Atlas’s signature moves, holding up an image of the world. Inspired by their latest international trip, the couple will be focusing on Spain during the month of June, with the intent of exhibiting different countries each month. Along with displaying prints from their travels, a Spanish silver jewelry line called UNOde50 will also be featured on June 9th. Belleza Ropa will also carry UNOde50, and have a trunk show for the new line on May 17th in conjunction with Belleza Ropa’s Girl’s Night Out celebration during Olympia’s new Third Thursday event. If a third store opening wasn’t enough, Kempees is also staying busy preparing for the upcoming Olympia Spring Arts Walk and Procession that brings locals and visitors to the downtown area during the last weekend in April. 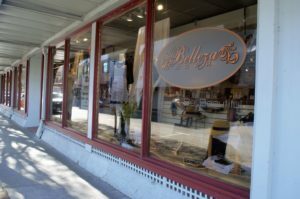 For this year’s Arts Walk, Belleza Ropa will be featuring the photography of local artist Lanae Lien, and will be hosting the annual Birkenstock Trunk Show on Saturday, April 28 from 11:00 a.m. – 5:00 p.m.
Juliet Bright, northwest brand manager for Birkenstock, will be there to consult and help fit customers for shoes. All Birkenstocks will be discounted that day and there will be a drawing for a free pair. Kempees says that while opening a new business is always challenging, she’s encouraged by the support she’s received and attributes her success to her amazing staff and loyal customers. Belleza Ropa website or call 360-352-7672. Atlas Travel Wear website or call 206-257-4596. About Time or at 360-385-4795.